Silence of a friend has more power to hurt than the words from the enemies. Its time to show your friend that you are not normal and his/her silence kills your everyday. 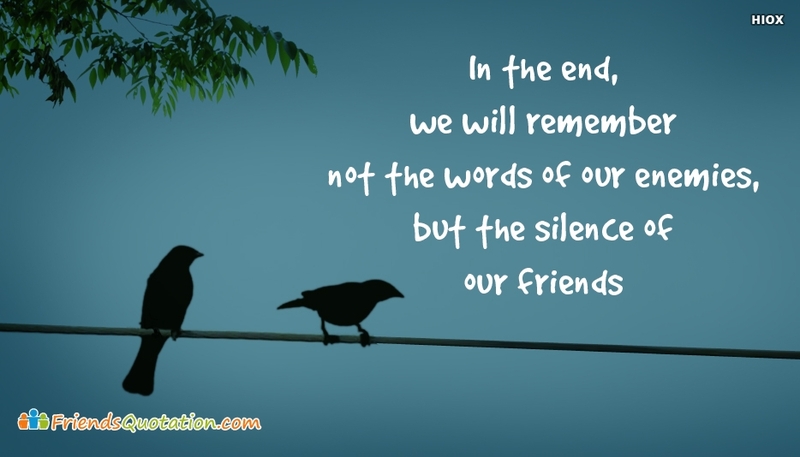 Free download and share this friendship quote "In The End, We Will Remember Not The Words Of Our Enemies, But The Silence Of Our Friends" to your bestie through any social media.